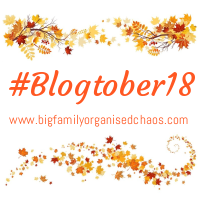 Today is day 7 of Blogtober, and the theme is Gross Motor Skills in honour of Dyspraxia Awareness Week. Honestly, I don’t really know enough about Dyspraxia to write a blog post on it, so instead, I have chose my own “G” Theme…. Growing out my grey hair! I blogged a couple of weeks ago about why I am transitioning to grey hair, and I finally had my hair highlighted a few days ago, so decided to share the results today! When I got to the hairdressers, I snapped this quick before photo of my roots…. I don’t have enough time (or motivation) to keep on top of my Rapunzel style hair growth. My roots come through so fast, I need to colour them every 3 weeks to keep on top of them. It’s just too much now my roots are so obviously grey. I don’t have enough money to pay £90 a month to have regular highlights. This means my options were: Go grey or home dye. I had hoped the semi permanent dye would lift enough for me to go for a kind of light steel grey toner on top of the bleach, but unfortunately it didn’t. I was warned this would probably be the case, though so it wasn’t a huge shock. I think we can all agree my roots look much better now than when I last blogged about growing out my grey hair. You can still see my grey roots, but they aren’t as harsh as they were against the dark dye. The toner will fade over time, and I can either put a new toner on, or opt for more highlights. This would mean I can go for a toner more silver like my grey hair. I am going to just see how it looks once this Ash toner fades. I’ll probably use some silver shampoo to try to reduce the yellow tones of the highlights. Maybe I’ll pop on a darker silver until my grey grows down the length enough to stop using the toner to blend it all together. What do you think? I’m 35 next month – is that too young to transition to grey? Would you growing out your grey hair? It looks really nice. I’ve been going grey since I was 18, I’m 51 now. Once it’s all white I’m happy to be natural but it’s so uneven in colour still it’s going to be a while before I stop dying mine. Your hair looks lovely! I have grey hairs coming through and if I could just click my fingers I would go grey. It’s that inbetween stage which is annoying.